How can retailers and CPG manufacturers read the minds of their fickle consumers? There are new ways available, beyond the traditional focus group or statistical forecast tools. 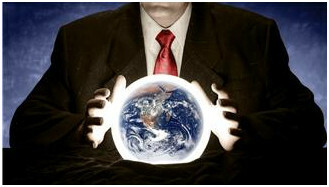 If you’re a psychic, you could get a high paying job with a retailer or CPG brand manufacturer. Those companies are always trying to predict the future and get into the mind of the consumer at every step of the way—what features and fashions do the consumers want, how many will they buy, where will they buy, and at what price? These choices are driven by the consumers’ needs, desires, preferences, and sentiments—fuzzy emotions that are hard to predict. In days gone by, the local store owner simply knew all their customers personally, keeping up with the major events of their customers’ lives, intimately knowing their habits, likes and dislikes. The majority of today’s retailers no longer have that proprietor-to-customer direct personal connection. Unfulfilled Demand—A customer goes into a store, can’t find what they want, and walks out to go get it elsewhere. The retailer or manufacturer usually has no clue that that just happened. It could be due to out-of-stock or just the wrong selection. In any case, the unfulfilled demand is not captured in typical demand tracking systems, which rely on point-of-sale data to capture what people are buying and hence determine what is hot and what is not. See "Omni-Channel Inventory: Getting the Big Picture"
Wrong Price—Setting the right price is one of the most challenging decisions a retailer or manufacturer makes. Companies use experience with similar products, focus groups, and just plain trial and error to set prices. Set the price too high and you won’t sell enough. Too low and you lose potential profit unnecessarily on each sale. And then run out of stock. Wrong Selection—This is a problem for many categories and is particularly challenging in long lead time fashion, where it is hard to know what the whims of the next season will be. By the time the items arrive, the retailer is stuck with whatever guess they made, often resulting in running out of the hot items and having to mark down the dogs. Of course there is no panacea to these thorny issues, but there are some new approaches and solutions that can help. In-store Search Monitoring—Motorola offers software that analyzes retailer’s guest’s WiFi traffic and tells what sites and search terms the shoppers are using while in the store. For example, if there are several searches for “black jeans” and the retailer is only carrying navy, that could be a clue that they are carrying the wrong color mix. While it might be somewhat of a blunt instrument, this has the potential to give the retailer some new insights into what their shoppers are looking for and unfulfilled demand. Social Media Monitoring—Attensity, Sentiment Metrics, TrendSpottr, and many others provide analytics that monitor social media1 and try to capture the sentiments people have about various brands, styles, and trends. In our new demend model, consumer engagement plays a key role and is critical for companies to understand and master. Retailer-specific Mobile and Web Apps—Retailers have developed their own mobile and web apps that they can use to engage the customer and solicit feedback. See "Mobile Mania - Shopping and the Shoppers"
Empowered Store Associates—Some fast fashion retailers (Hot Topic comes to mind) hire young store associates from the same demographic they are selling to and encourage those associates to communicate directly to the merchandisers about what they are seeing and hearing ‘on the street’ and in their interactions with customers. This is by no means a complete list of either the challenges or novel approaches to understanding the consumer. The point is that retailers and manufacturers have many more options today2 to fill the gap left by the depersonalization of retail. Beyond the traditional approaches, there are creative ways to read the mind of the consumer … besides trying to find and hire a real psychic. 1 In fact, there are entire conferences dedicated to Sentiment Analysis.